The Uplands is a wonderful gated acreage estate luxury home community located off of Hwy. 71 West in Bee Cave. Home sites are generally in the 1/2 - 1 1/2 acre range, and overlook the Balcones Canyon Land Preserve. The typical home in the Uplands will have a wonderful inground pool/spa, outdoor living area, and plenty of room in your yard to allow the kids to play. Uplands residents also enjoy having a low tax rate since it is not in the city, but yet is next door to everything convenience wise. Lakeway also now has the new "Lakeway Regional Medical Center" which should create about 2500 jobs in the area. Lake Travis is 5 minutes away. Shoppers will love that the Uplands is conveniently located near the "Hill Country Galleria" shopping center, as well as the new "Whole Foods" market in Bee Cave. Commuters will have a fairly short commute into Austin, Westlake Hills, Dripping Springs, and Lakeway. 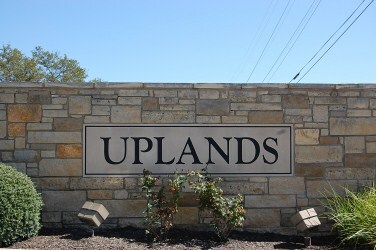 Homes for sale in the Uplands luxury home community typically run from the $600's-$900's. Lake Pointe elementary, Lake Travis middle, and Lake Travis high school.